Statistics are calculated with very unfavorable spreads (for example 3.0 pips for EURUSD or 7.0 pips for GBPCAD) to take into account other possible problems (slippage, etc). By the way, the portfolio settings are calculated too with those unfavorable spreads. 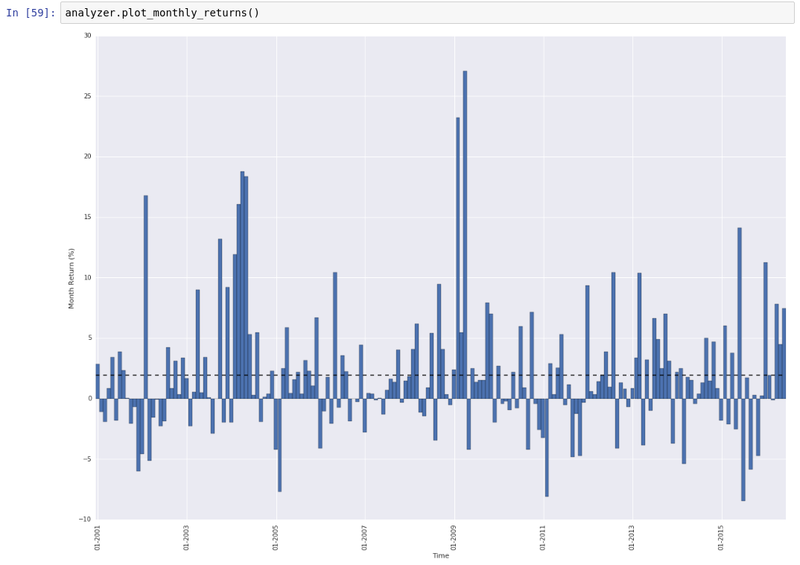 With a 10 months window, it only looks back 10 months to calculate the monthly settings. That means that in the worst case, with a huge change in markets, it will take that long to adapt to the new situation. 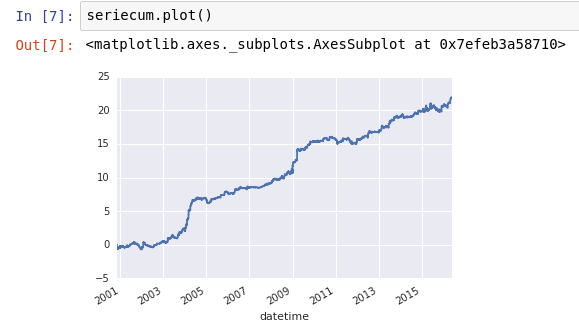 The following statistics are calculated using qqpat library, that already adds the compounding component. The max drawdown is 17% and the profit factor is 1.63. It is interesting that the win percentage is just 27% with a reward to risk of 2.23. So it is cutting loses short and letting profits run. The longest drawdown is 533 days and the longest recovery is 340 days. 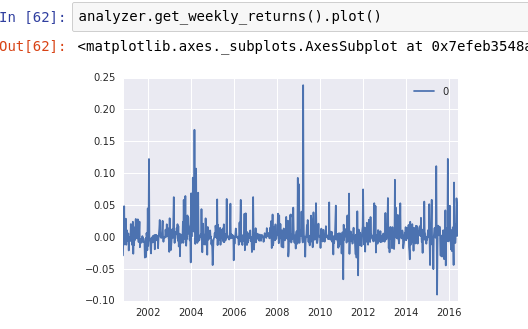 Take those numbers as a rough approximation, as the spreads are very high and we are using daily aggregation of results (which makes statistics a bit worse). We hope to have the statistical analysis automated ready for next settings release (August).